Durn, somehow I let this thread get away from me. I would have had many bothersome questions for Myc on his build. I would be inclined to avoid cedar. I wish I could have milled your lumber for you, Myc. You would have liked my prices. 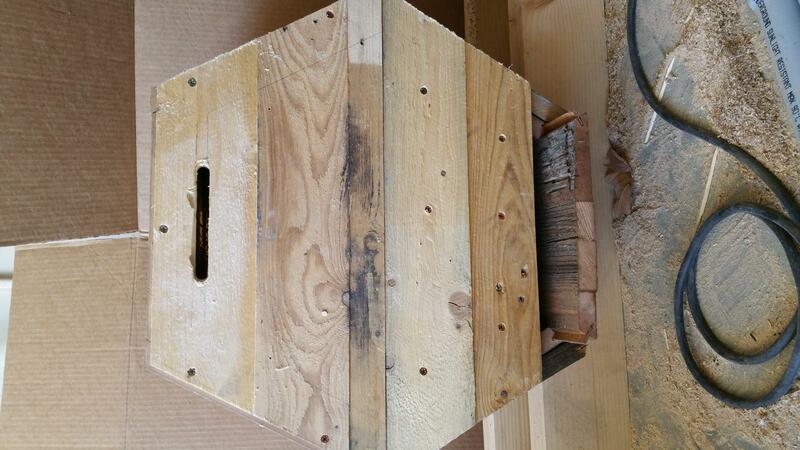 We'd have to find some fairly clear spruce, as I think that would be the best replacement for the pine around here, though I don't think the Douglas fir would be too bad, as that's what I built my hive boxes out of so many years ago. Alder must stay dry at all costs, and then it's fine. We have lots of big leaf maple and that is lovely stuff. Most of the wild bee trees I have seen in these parts have been in Sitka spruce. Our colony in the big old American chestnut tree did not overwinter. It's hard to sustain colonies here with the timber company's spraying. The crocuses were covered with very black wild bees when the sun came out last Sunday. This makes me want all the more to get my community shop built. I have most of the materials already. I could use some labor, though. **Of all occupations worldwide, beekeepers have the lowest incidence of cancer. ~ New York Cancer Research Institute. Edited by riseabovethought, 14 March 2017 - 01:17 PM. Feed that which feeds you and the world and watch each grow in complexity, usefulness, love, and beauty. How can any of those be a bad thing? I could do my best to answer any questions you might have. I did make the whole hive body of clear pine. Surprisingly clear stock for the price. The fellow at the lumber yard pointed it out as we discussed my project suggesting that it was some of the cleanest he had seen in quite some time. Few knots - nice straight grain. I did choose to use one piece of aromatic cedar for the viewing port cover. 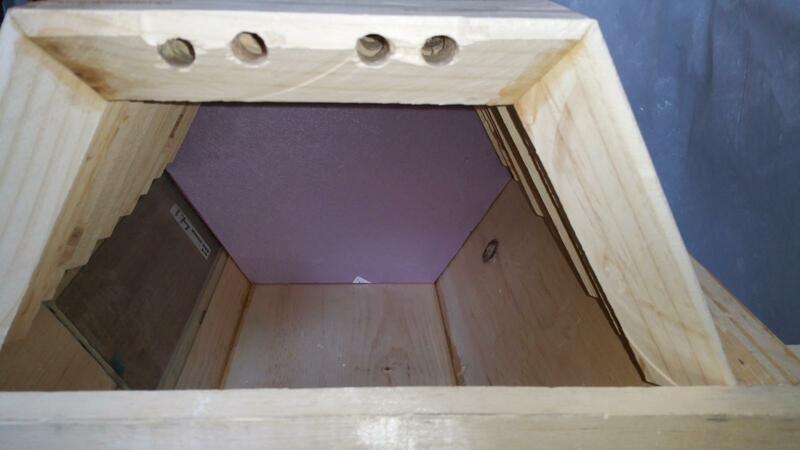 The bees will not come into contact with the panel and it covers a 3/16", "triple strength", glass viewing panel which is sealed in place with some silicone sold to me at the glass shop. . 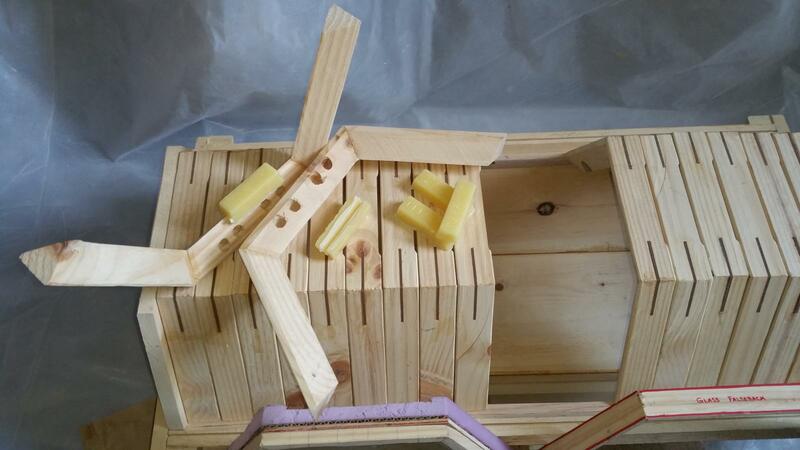 I'm priming the top bars today with beeswax and plan to set it up in the next few days. Edited by Myc, 16 March 2017 - 08:26 AM. 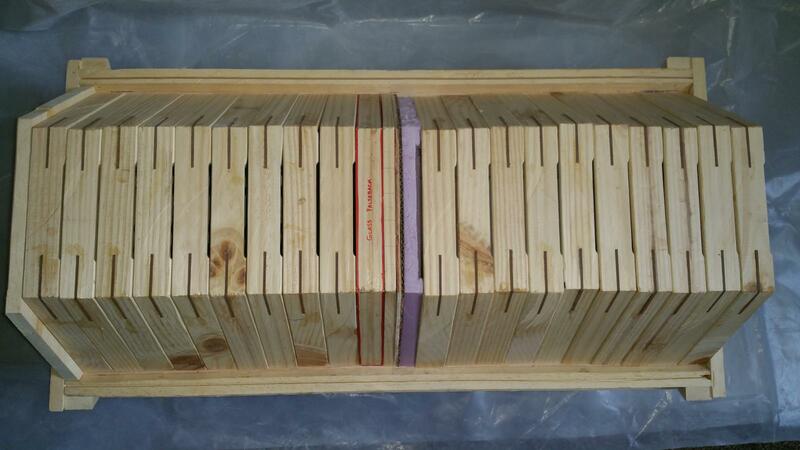 ​The bees will be happy and you should be very proud! ​Thank you for being interested as I think bee husbandry is going to be very important in the near future unfortunately as long as Monsanto/Syrgenta/BASF etc. are allowed to do business. Edited by shoomer, 16 March 2017 - 01:01 AM. 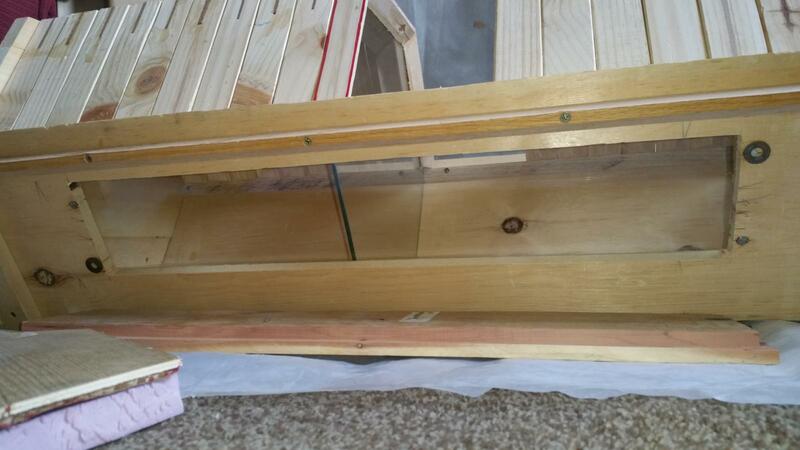 I'm priming the top bars today with beeswax and plant to set it up in the next few days. Edited by wharfrat, 15 March 2017 - 11:59 PM. Swarm season was reportedly poor this year. My efforts at baiting have gone un-rewarded but I'm not discouraged at all. 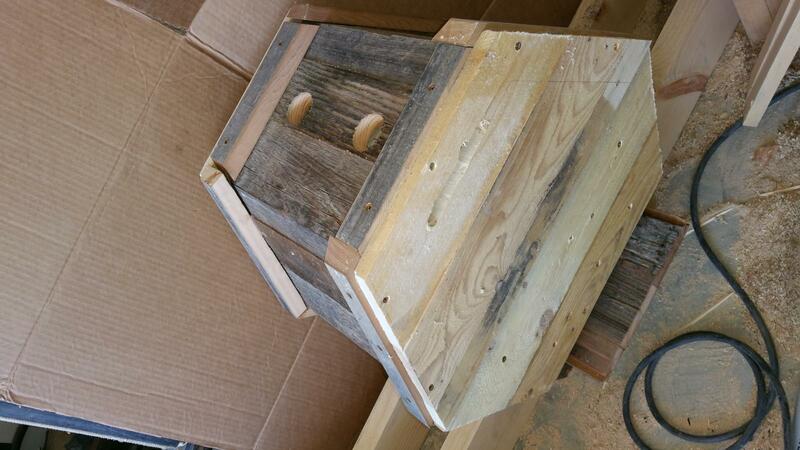 Instead, I've taken the opportunity to build a nucleus hive. 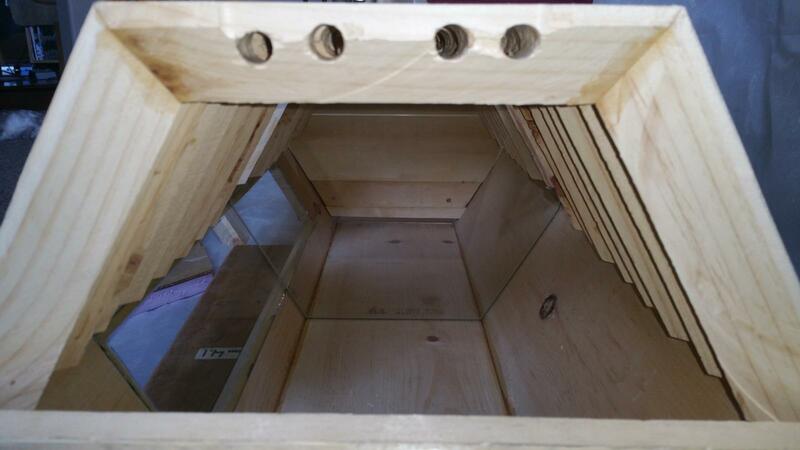 This small enclosure can be left in a bee yard and directly "inoculated" with a queen and some workers. It could also be used to catch a swarm. 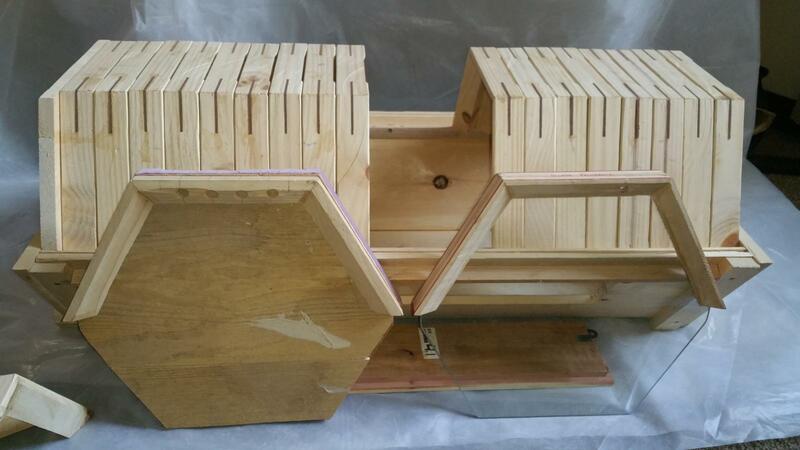 It will also come in handy when working with the hive by providing a stable place to set frames while working within the hive. This was built entirely of salvaged lumber. 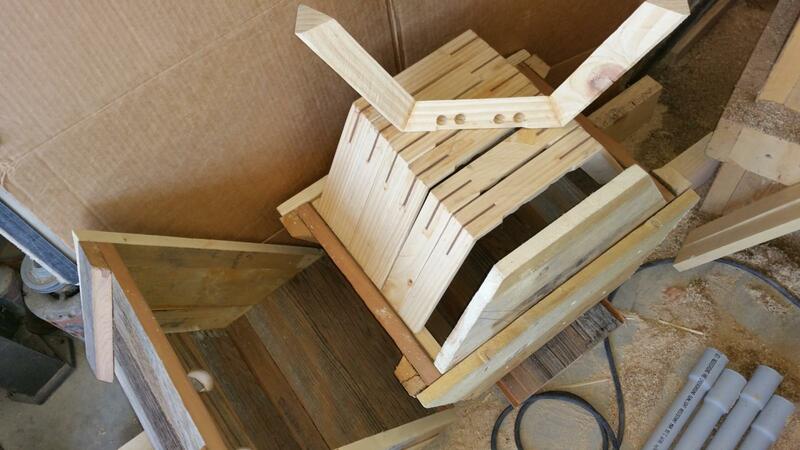 An old pallet and some old fencing material were glued-up for the construction materials. Cool, if I owned land, bees would most definitely be part of it.